As discussed by SafeCar.gov, a NHTSA project, well in excess of 30 million automobiles are being recalled over defective air bags on both the passenger and driver’s side of the vehicle. The problem is very serious, in that, when they deploy, they could do so with enough explosive force to injure or even kill a vehicle occupant. All air bags deploy with some degree of force, as propellant wafers comprised of sodium azide and potassium nitrate are ignited to produce nitrogen gas. The newly created nitrogen case expands to the fill the air bag. While this is technically an explosive chemical reaction, it is a controlled reaction with enough force to quickly inflate the air bag, and it is not supposed to cause any damage. On these defective air bags, the propellant wafers could actually explode, causing the metal housing to turn into shrapnel that is sent flying through the passenger compartment at bullet-like speeds, causing serious injury or death. 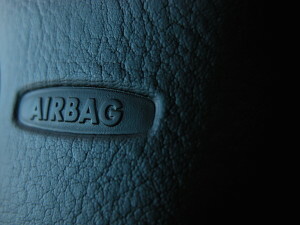 Essentially, the air bag turns itself into a grenade in a car crash. There have already been more than 100 cases of documented injuries as a result of these air bag explosions. In one of the most serious cases, a man was hit in the face and neck with shrapnel from the air bag ignition device housing. During its investigation into the cause of these air bag explosions, NHTSA alleged the manufacturer violated several safety regulations related to device design, testing, and production quality controls. Specifically, with respect to quality controls, the propellant wafers were stored in areas with high heat and humidity without adequate protection from environmental conditions. This caused the wafers to become exposed to moisture, which in turn increased the burn rate for these activators, causing the reaction to become explosive. 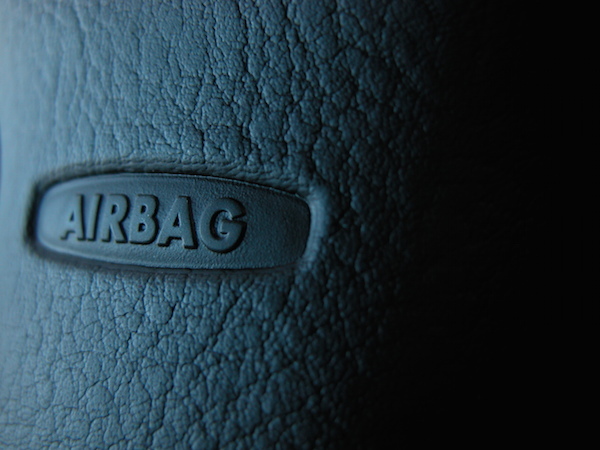 This is a risk the company knew or should have known about, and that was part of the reason for the $200 million in fines NHTSA levied against the air bag manufacturer. If you have been injured in a car accident that was the result of a defectively designed vehicle or vehicle component, you may have a civil car accident lawsuit against the carmaker or anyone else in the delivery or supply chain. While you should speak with an experienced Boston car accident lawyer about the facts of your potential case, the reason you may have the right to sue anyone in the distribution chain is because legal scholars have determined that the plaintiff is often not in the best position to figure out which of the many parties are ultimately responsible, and when there is no question as to whether the product caused the injury, the plaintiff can sue everyone and let the companies seek indemnification.